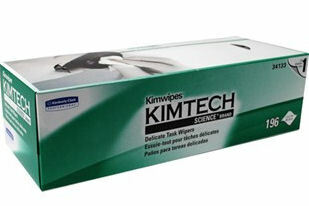 Kimwipes EX-L 34133, 12" x 12", 15 Pkg/cs, 2940 shts/case. The industry standard for delicate task wiping. Silicone-free, 100% virgin cellulose construction and state of the art packaging deliver high absorbency, softness, and low-lint performance. Sold as a case.